Details: Our Transcendence line of doses includes doses based primarily on ancient yogic theory and it is fundamentally a very raw and primal energy pack of doses. 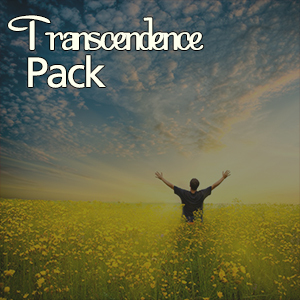 This power pack of doses includes Kundalini, Vedanta, Qigong and Zazen line of inspired binaural sequences that are perfect for bringing intermediate meditation to the spiritual next level. While steeped in philosophical tradition, these doses intertwine introspection and knowledge of ancient form into a solid meditation base that may prove to have truly transcending results.